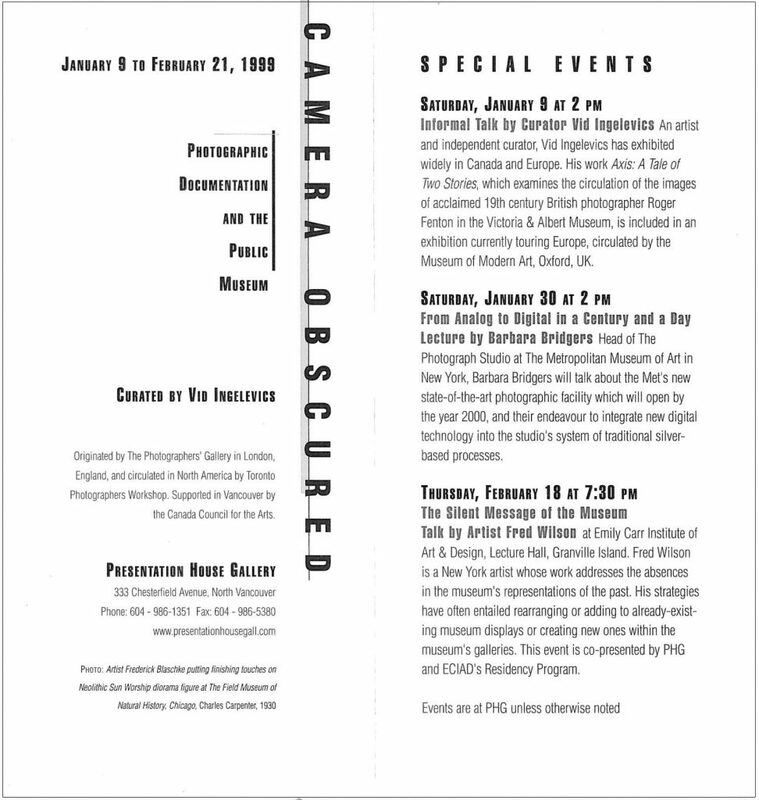 A look at the intersection of the histories of the public museum/gallery and the use of photography as document. This exhibition consists of 89 historical photographs taken inside museums, and drawn from the archives of major museums around the world, including the Metropolitan Museum of Art and the American Museum of Natural History, both in New York, the Louvre in Paris and the Royal Ontario Museum in Toronto. 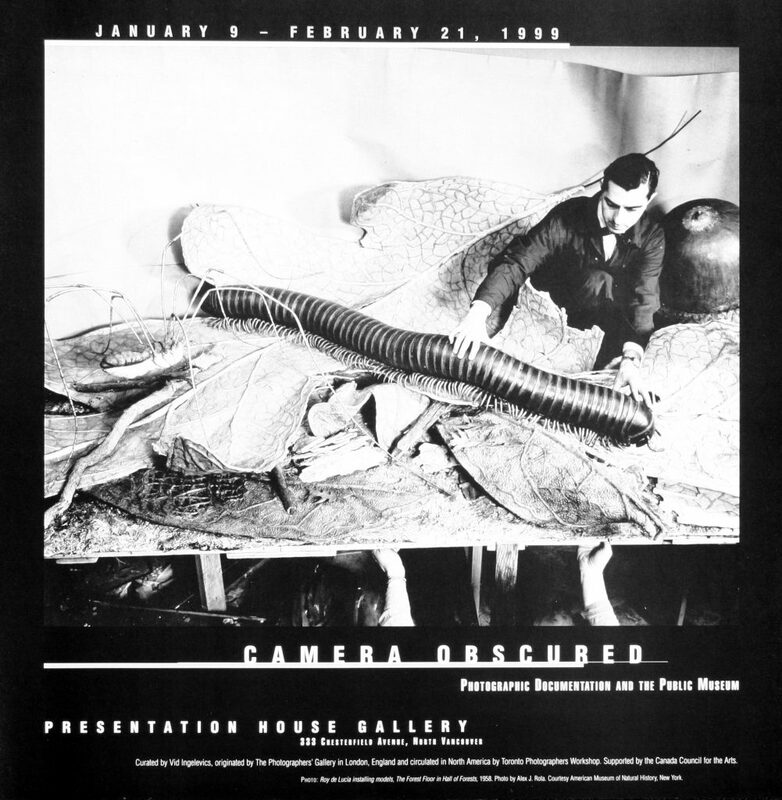 The exhibition was curated by Vid Ingelevics, originated by The Photographers’ Gallery in London, England and is circulated in North America by Toronto Photographers Workshop. 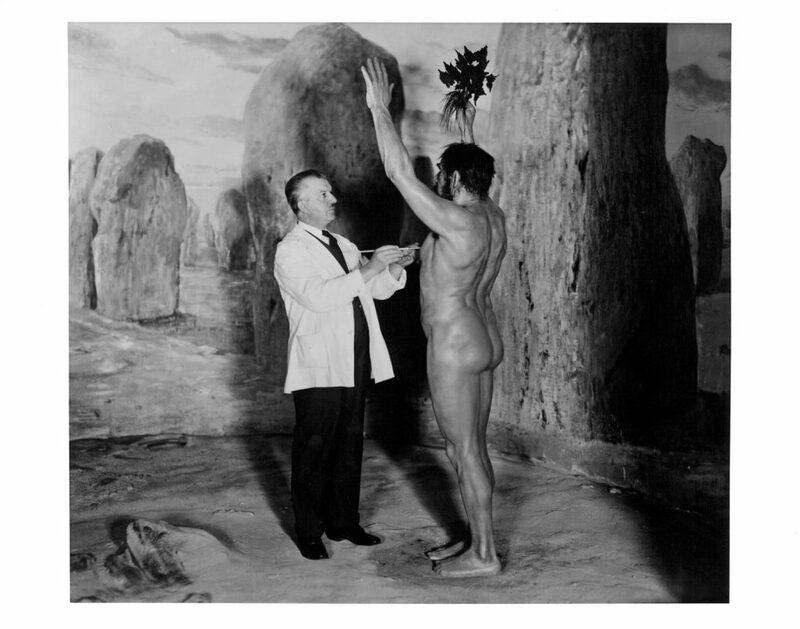 Poster for the exhibition "Camera Obscured: Photographic Documentation and the Public Museum"
Artist Frederick blaschke putting finishing touches on Neolithic Sun Worship diorama figure at The Field Museum of Natural History, Chicago. 1930. 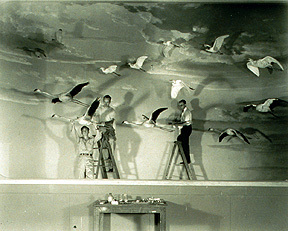 Photograph by museum staff photographer Charles Carpenter. 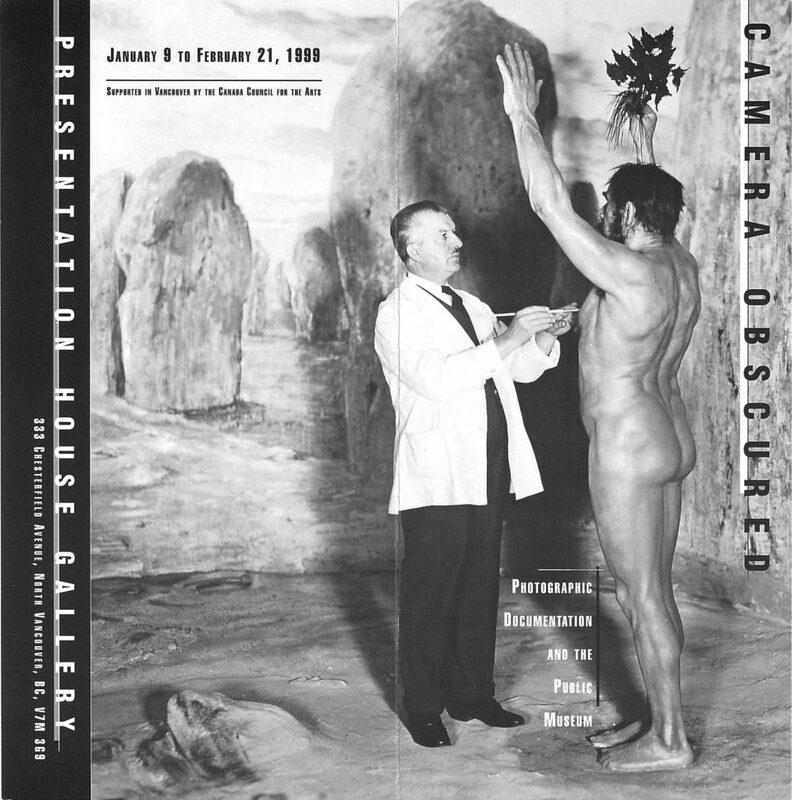 From the exhibition Camera Obscured: Photographic Documentation and the Public Museum. 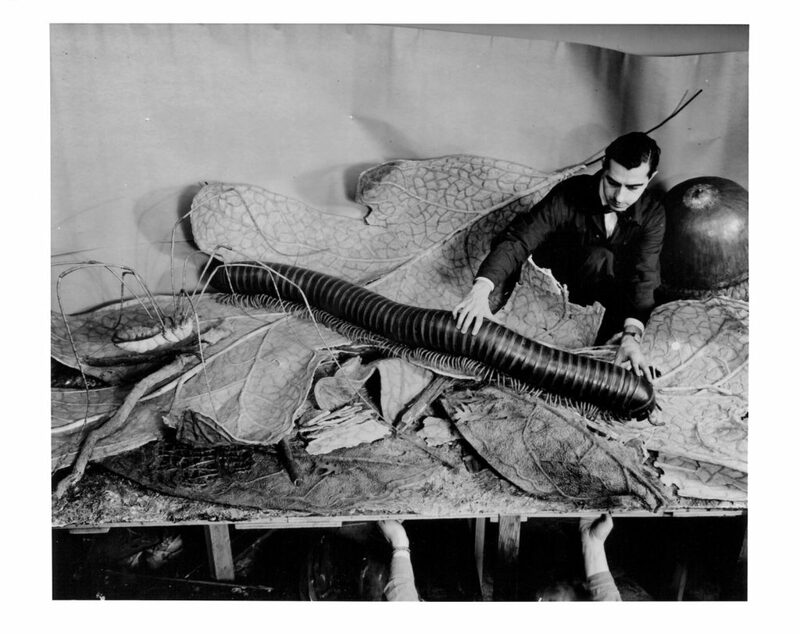 Photograph courtesy The Field Museum of Natural History, Chicago.